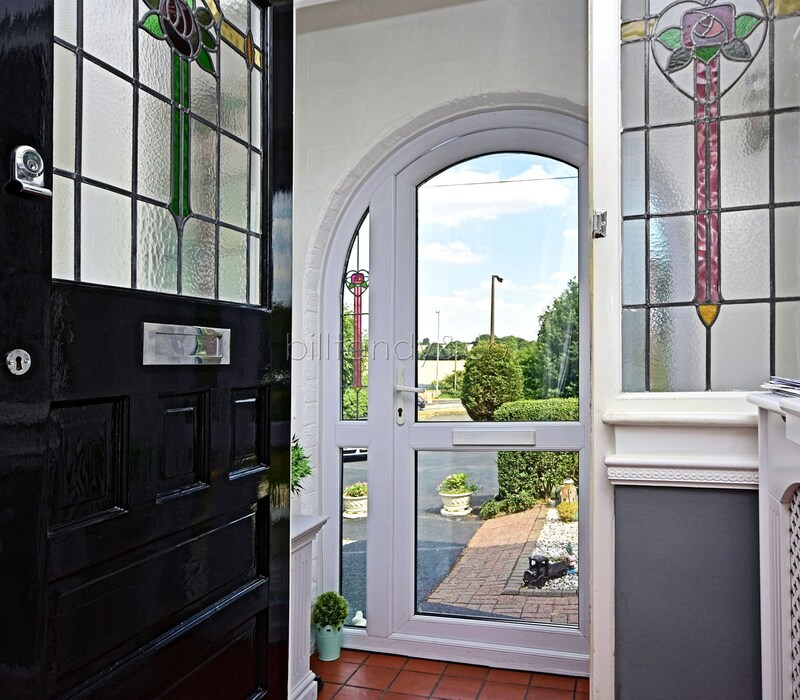 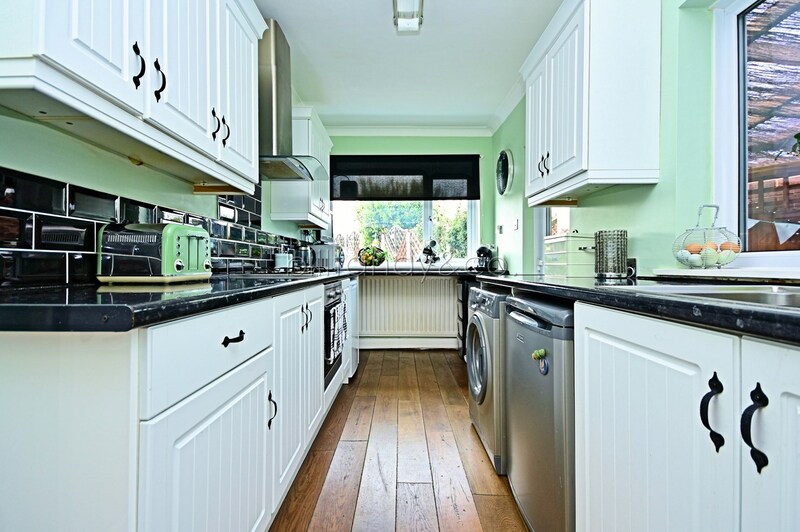 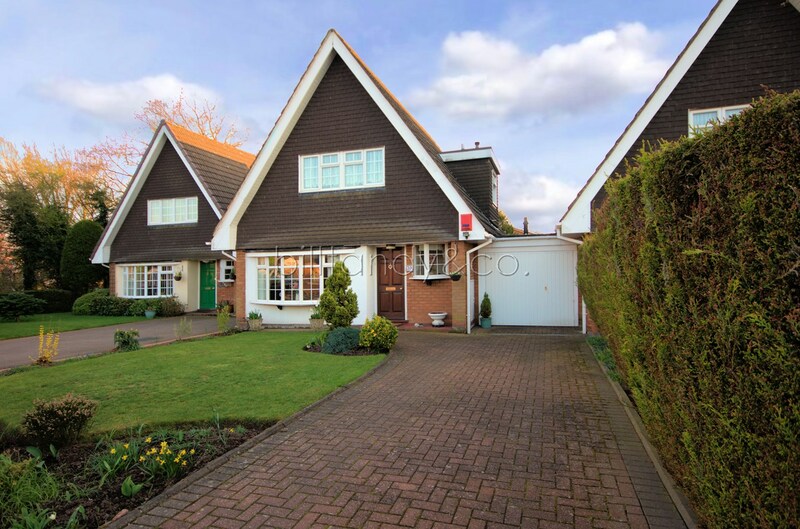 Bill Tandy and Company are pleased to present this beautifully appointed three bedroom traditional detached family home with stand-out features being the extensive frontage which provides ample parking and the countryside aspects to both front and rear. 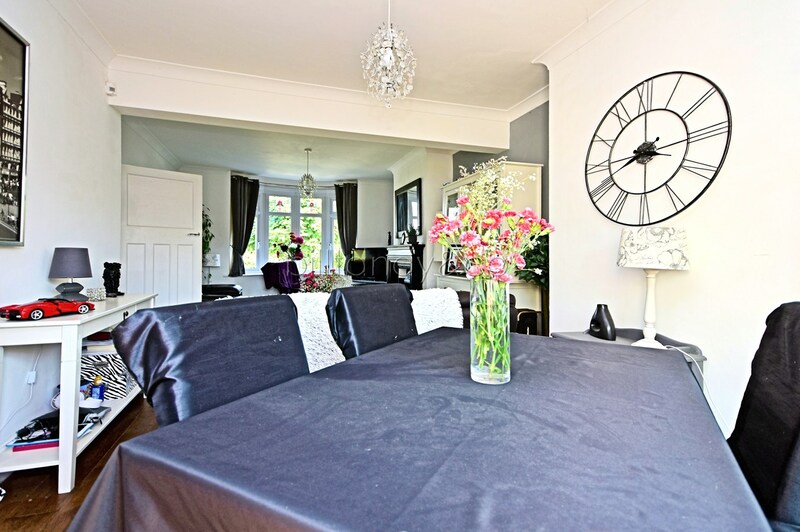 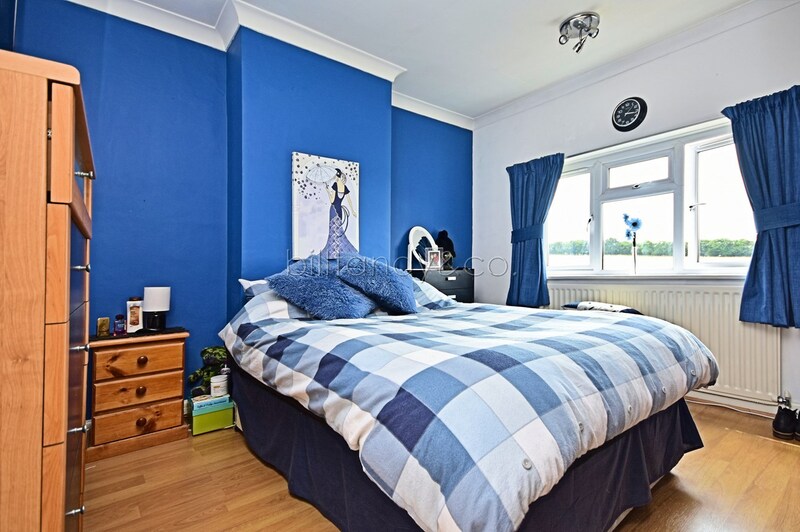 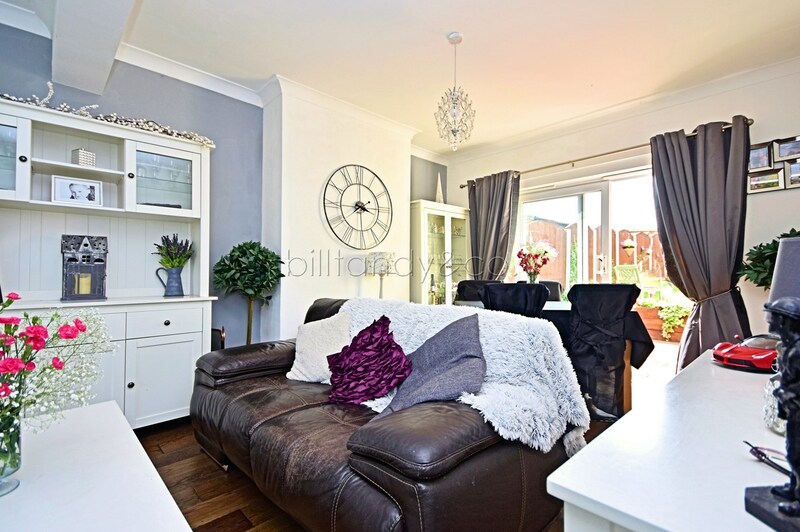 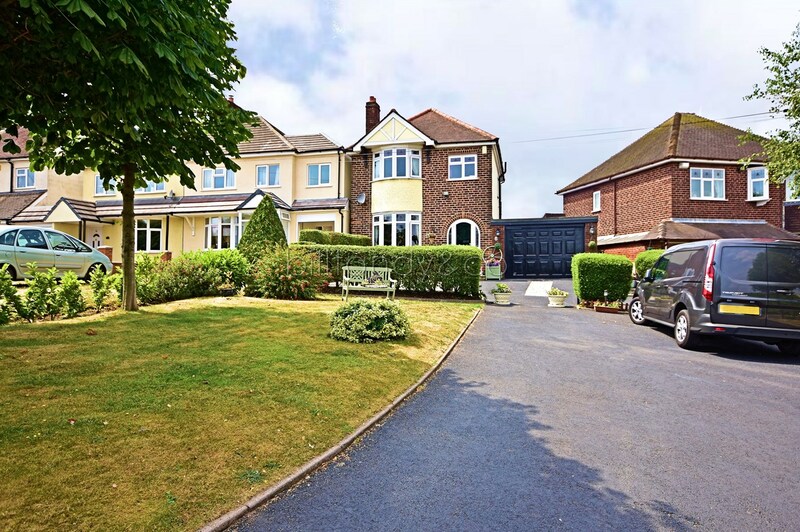 Furthermore the property has UPVC double glazing and gas fired central heating and offers well planned accommodation comprising porch, through hallway, through family lounge with dining area, 15'4" x 6'9" kitchen, three first floor bedrooms and a beautifully appointed bathroom. 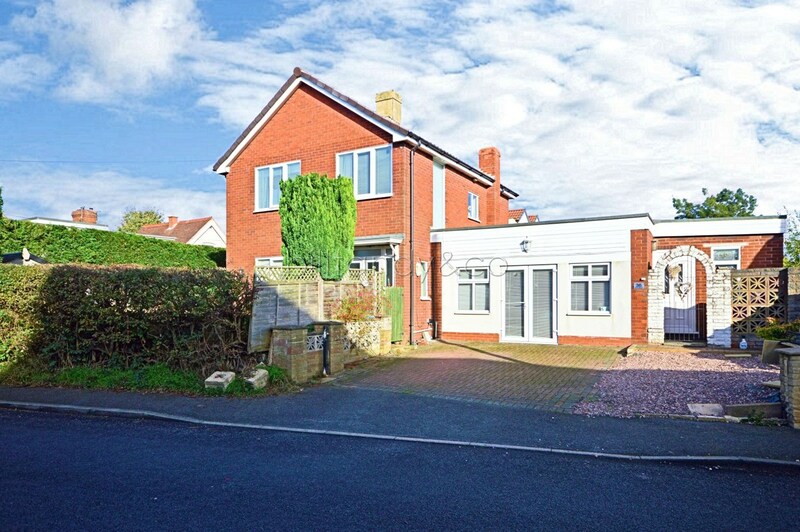 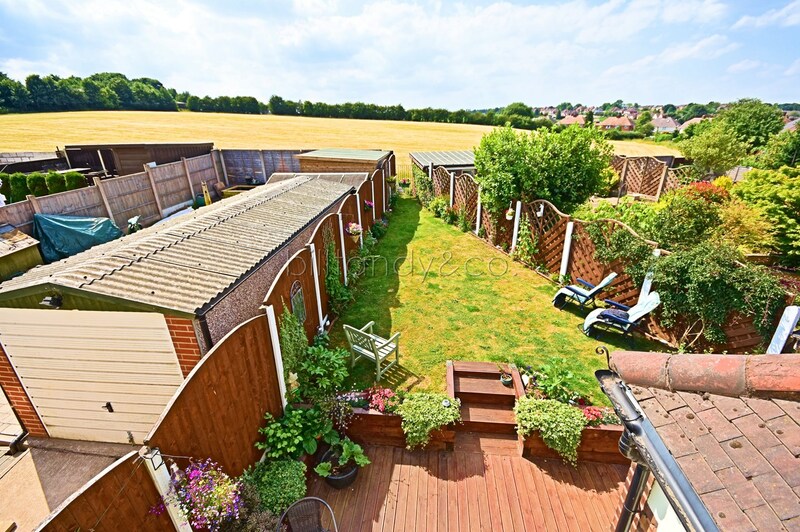 The property sits back behind a service road off the Ogley Hay Road itself with an extensive frontage which offers both garden areas and parking for numerous vehicles. 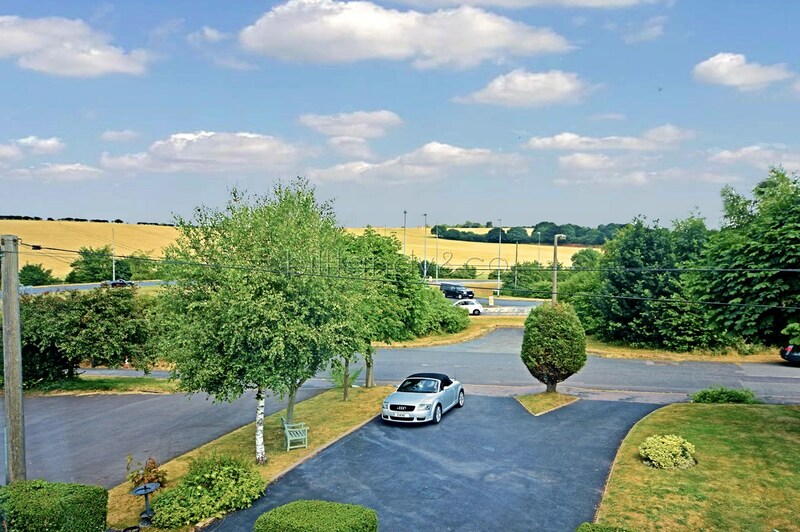 There is a 16'11" x 13' garage, a lovely enclosed garden to the rear which offers a good degree of privacy also with a fabulous countryside aspect across the rear. 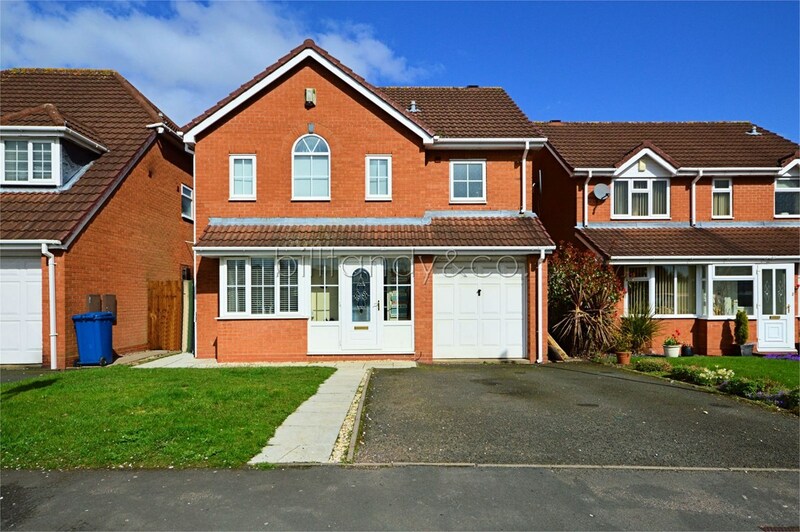 An early internal viewing comes strongly recommended to fully appreciate this overall impressive family home. 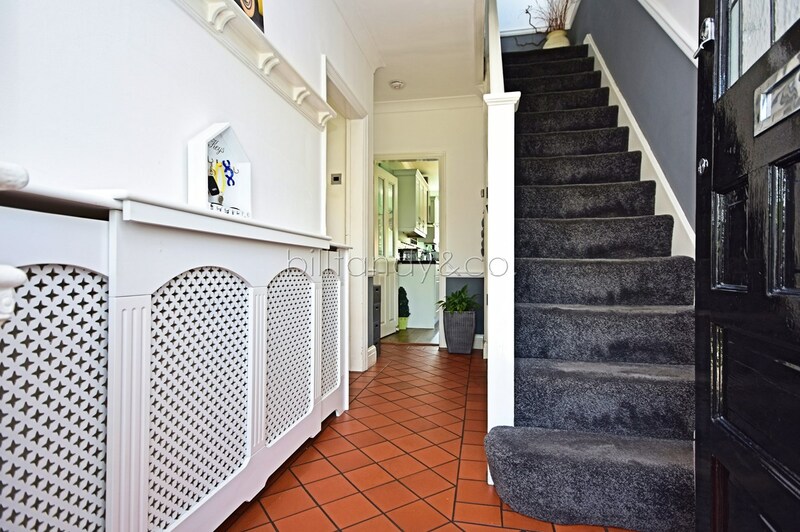 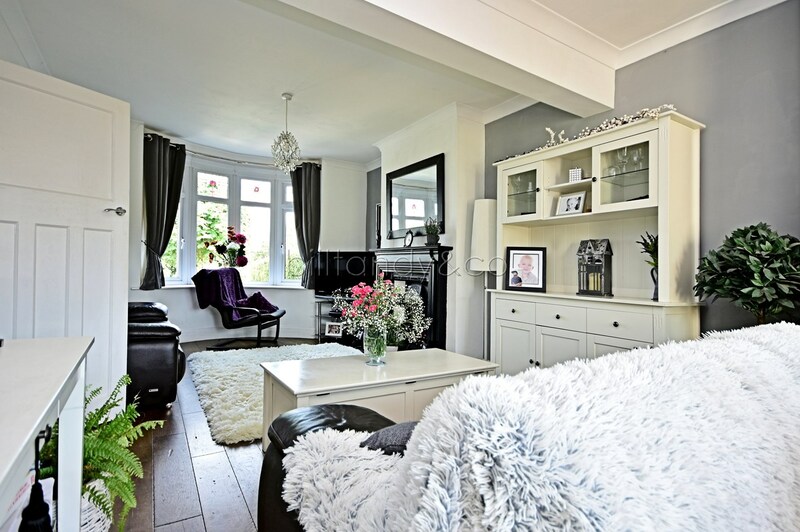 this traditional through hallway has lovely quarry tiled flooring, carpeted easy tread staircase ascending to the first floor, useful built-in under stairs storage cupboard, coving to ceiling, plate rack, radiator with ornamental cover and part glazed wooden panel doors lead off. 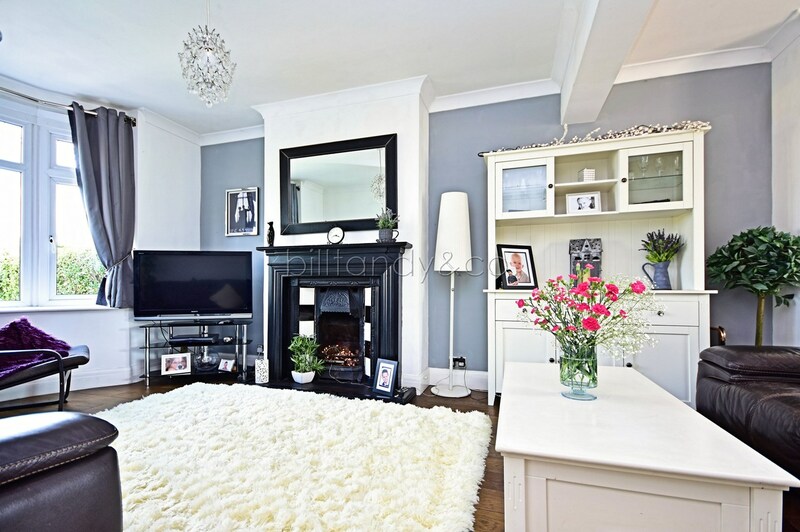 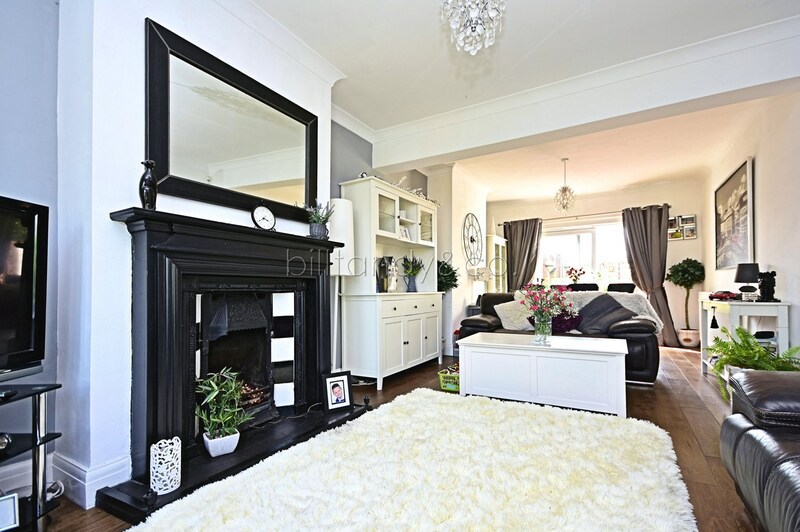 7.82m x 3.66m max 3.05m min (25' 8" x 12' 0") this impressive room has a UPVC double glazed bay window to front, focal point ornamental traditional style fireplace surround with raised hearth and tiled inserts housing a coal effect flame gas fire, wooden style flooring, two ceiling light points, coving, T.V. 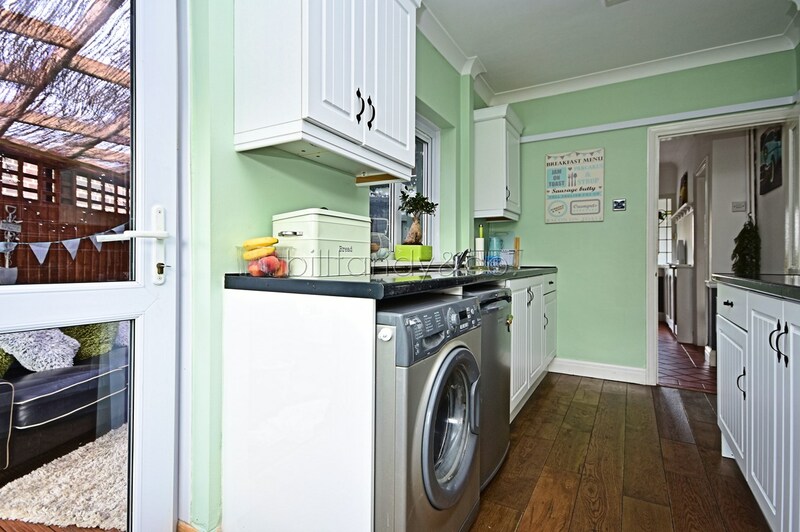 aerial socket, two radiators and a set of UPVC double glazed sliding patio doors allow access to the rear garden. 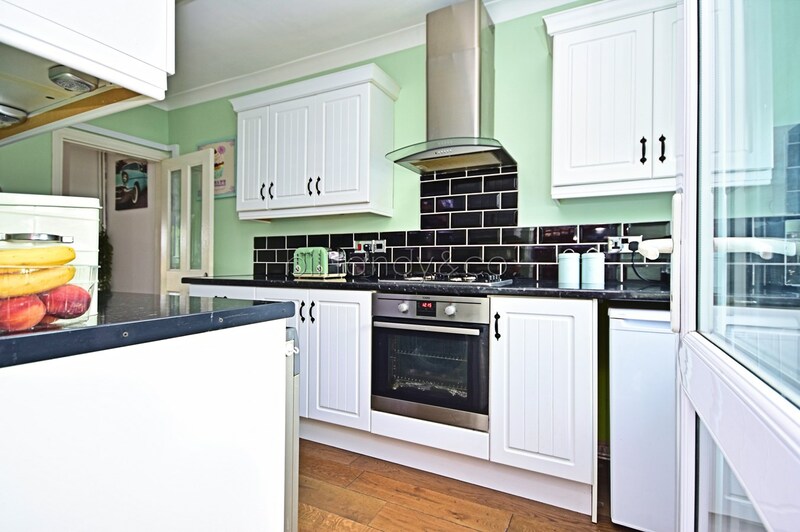 4.67m x 2.06m (15' 4" x 6' 9") having a range of matching modern white fronted wall and base level storage cabinets, complementary roll top work surfaces, part ceramic splashback wall tiling, inset stainless steel sink and drainer with chrome style mono tap, built-in four ring gas hob with fitted stainless steel extractor hood and electric oven set below, plumbing for washing machine, space for fridge and freezer, fitted breakfast bar, radiator, wooden style flooring, coving, fluorescent ceiling striplight, UPVC double glazed window overlooking the rear garden in addition to a UPVC double glazed window and double glazed UPVC door giving access to the part enclosed al fresco area outside. 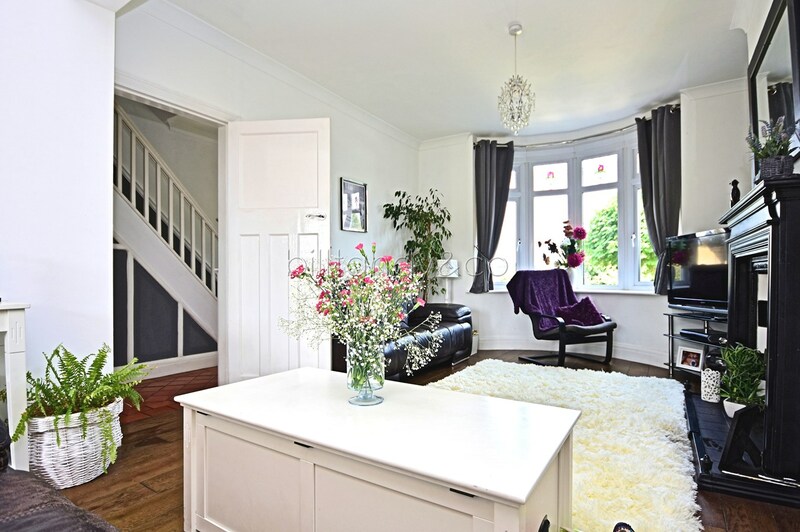 having obscure UPVC double glazed window to side, coving, loft access hatch, dado rail and wooden panel doors leading off. 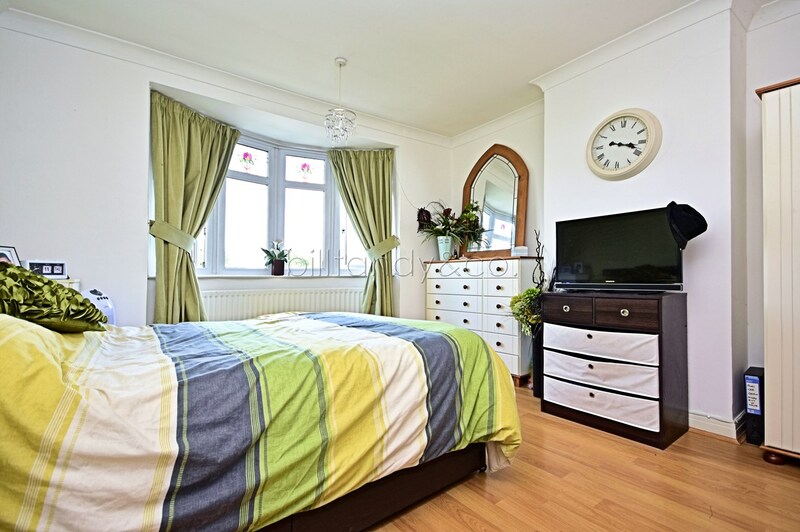 3.66m x 3.58m (12' 0" x 11' 9") having a UPVC double glazed bay window to front, radiator, wooden style laminate flooring. 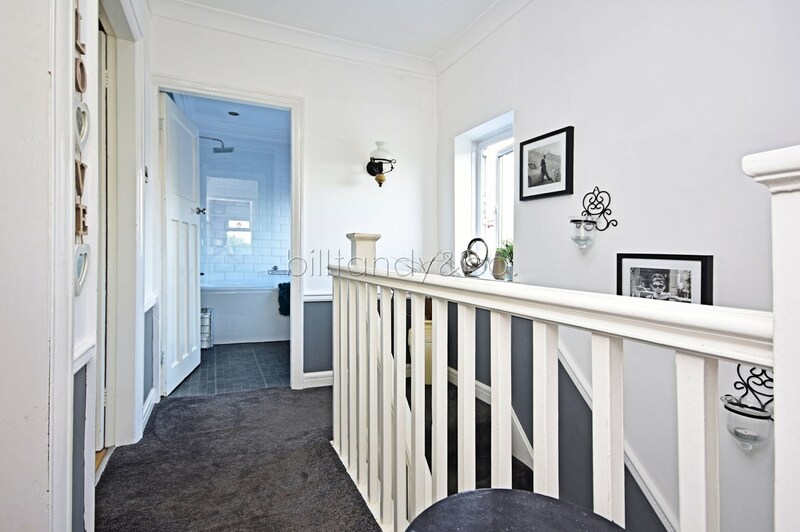 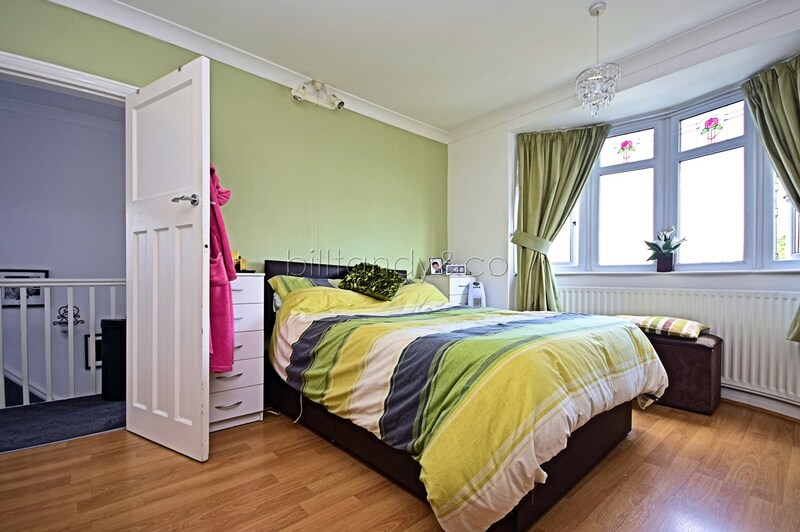 3.66m x 3.66m (12' 0" x 12' 0") having UPVC double glazed window overlooking the rear garden and countryside views beyond, radiator, wooden style laminate flooring, coving. 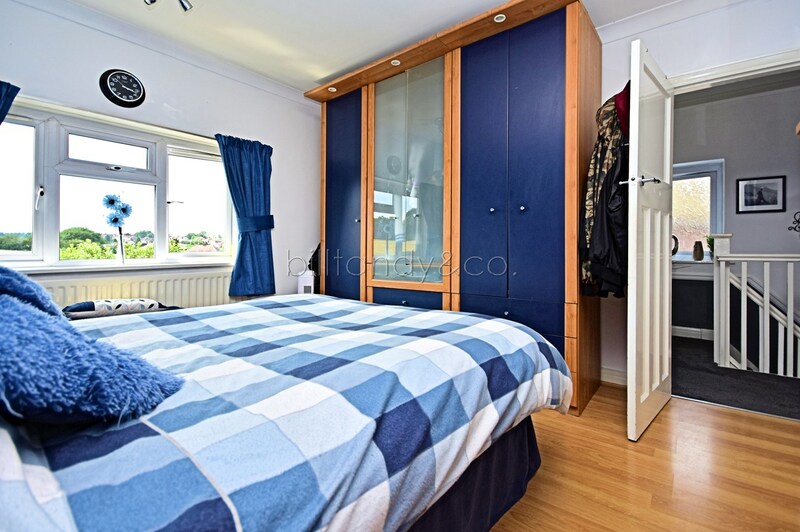 2.44m x 1.75m (8' 0" x 5' 9") having UPVC double glazed window to front looking out towards countryside beyond the Ogley Hay Road, radiator, wooden style laminate flooring, coving. 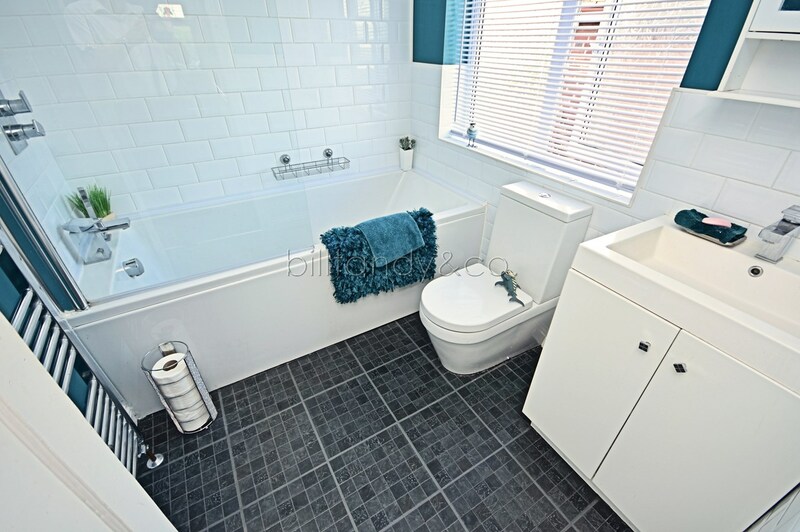 re-fitted with a modern white suite with chrome style fitments comprising wash hand basin with mono tap and high gloss white fronted vanity storage cabinet set below, dual flush close coupled W.C. and panelled bath with wall mounted shower unit and fitted shower splash screen, complementary traditional style ceramic wall tiling, wall mounted chrome heated towel rail, ornate coving to ceiling and an obscure UPVC double glazed window to side. 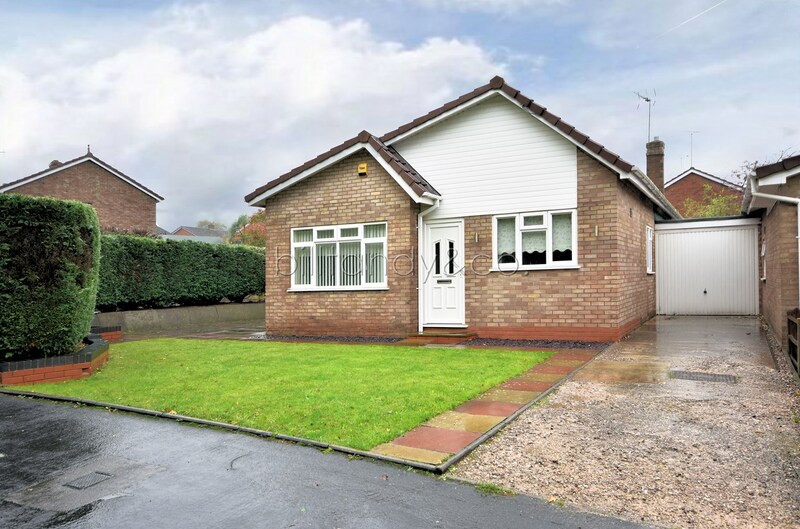 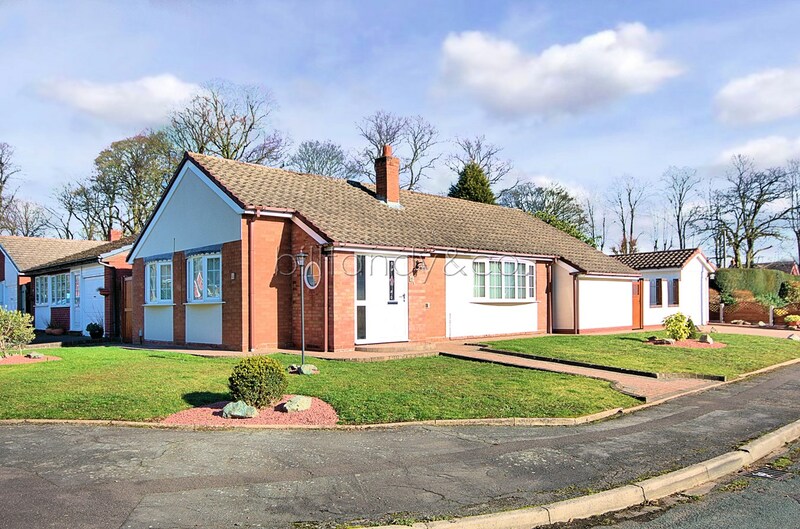 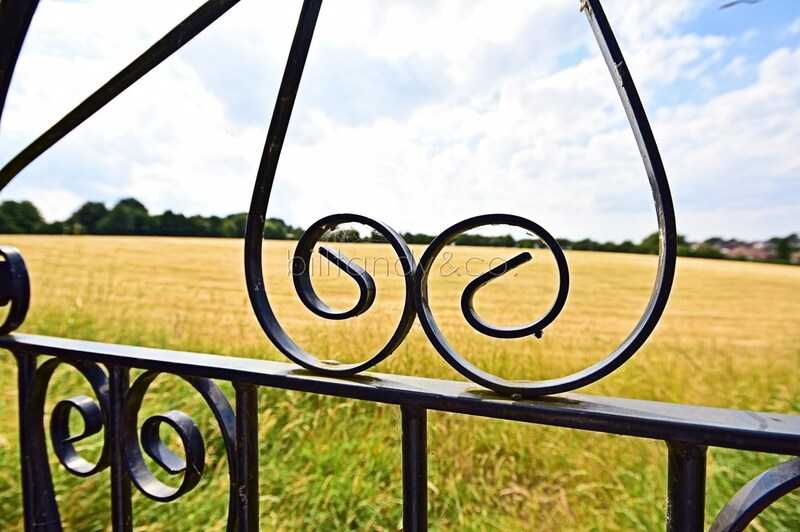 Located along a service road which runs off the Ogley Hay Road, a particular feature is the extensive frontage the property has, sitting well back from the roadside behind an extensive foregarden with small trees and wide driveway which provides ample parking for numerous vehicles. 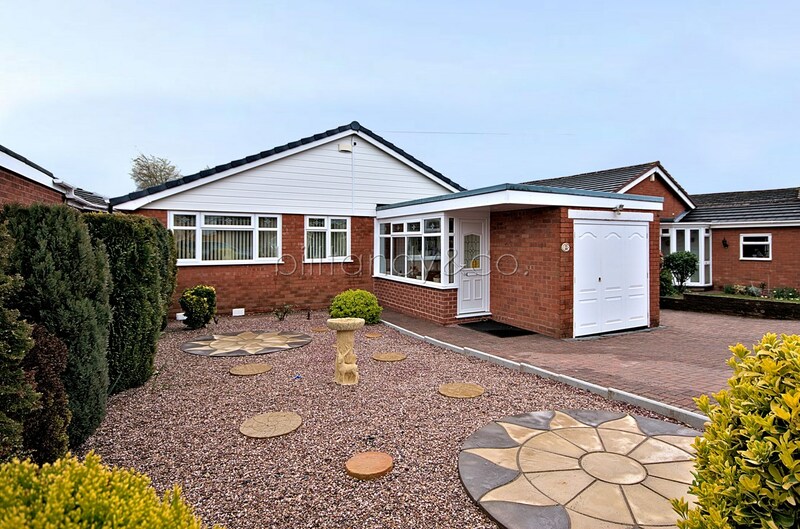 The driveway extends up to the garage with additional garden areas which sit behind fencing. 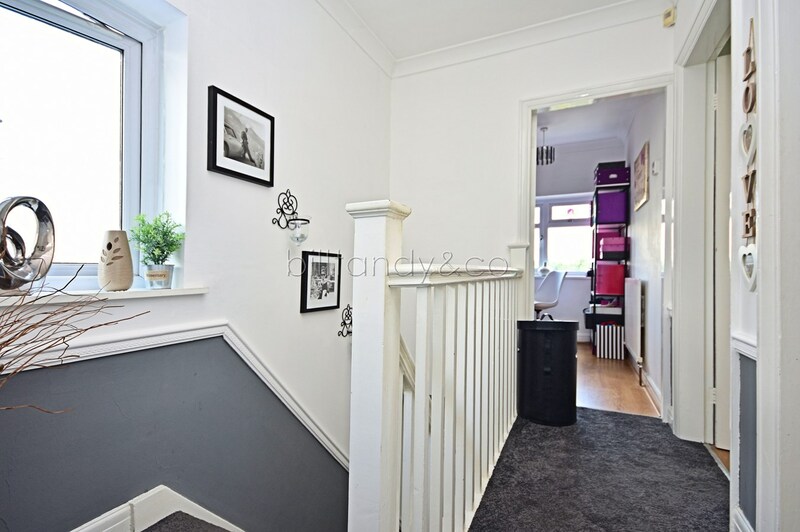 There are wall mounted courtesy lights to the property. 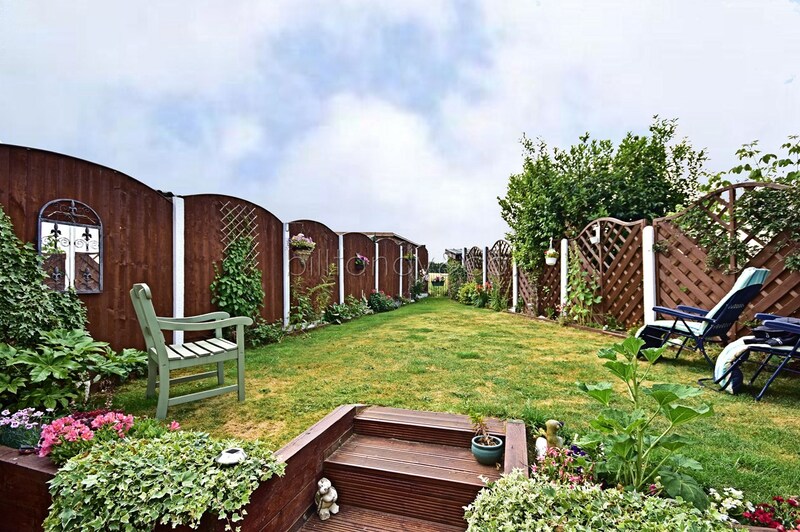 Set to the rear lies a delightful fence enclosed garden which offers both a good degree of privacy and a particular feature being the onward countryside aspects across the rear. 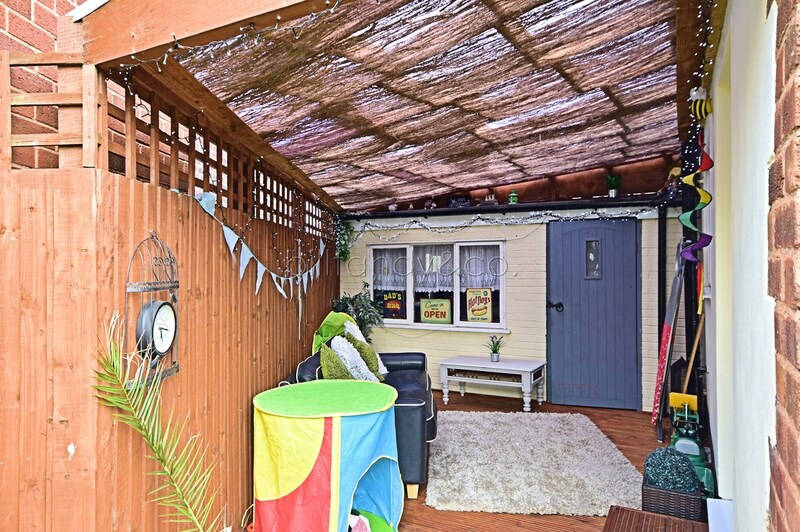 There is a vast wooden decked terrace area which provides ample space for seating arrangements and al fresco entertaining which in turn leads to a part enclosed space with sloping polycarbonate roofing. 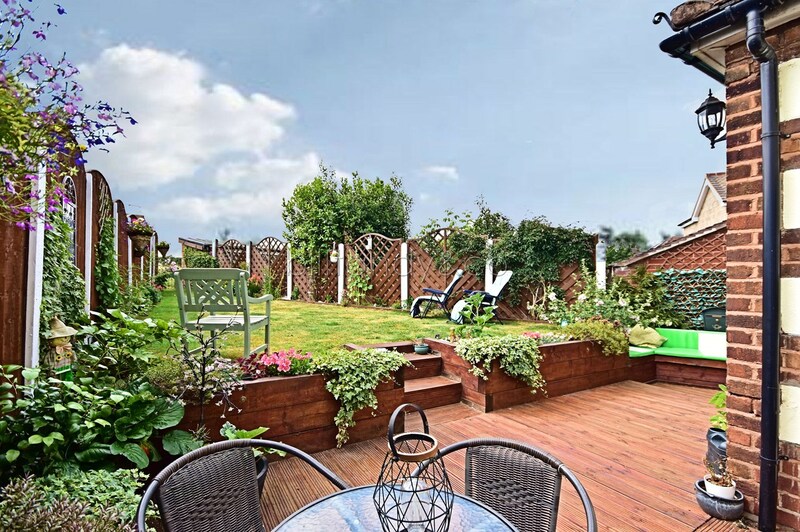 Centrally positioned steps lead up to a lawned garden with herbaceous flower and shrub display borders leading to a gate which gives access out to the fields beyond. 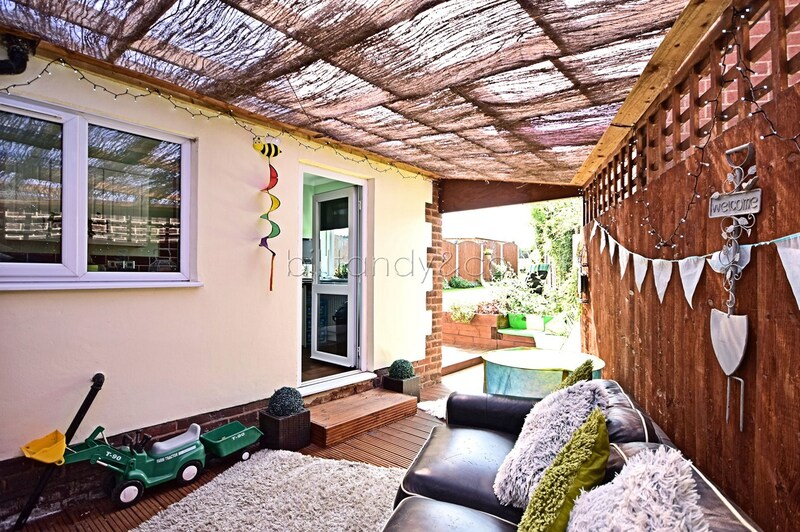 approached via a double width up and over door and having light and power points, door and window giving access to the part enclosed al fresco area.